A new exhibit opening at Prague’s PVA Expo in Letňany next month invites visitors aboard a simulation of the ill-fated luxury liner that sank into the Atlantic on April 15, 1912 resulting in the death of more than 1,500 people. Opening February 2, 2016, Titanic: The Exhibition features life-size replicas, authentic artifacts from the wreckage, memorabilia of the era, and a Czech connection. 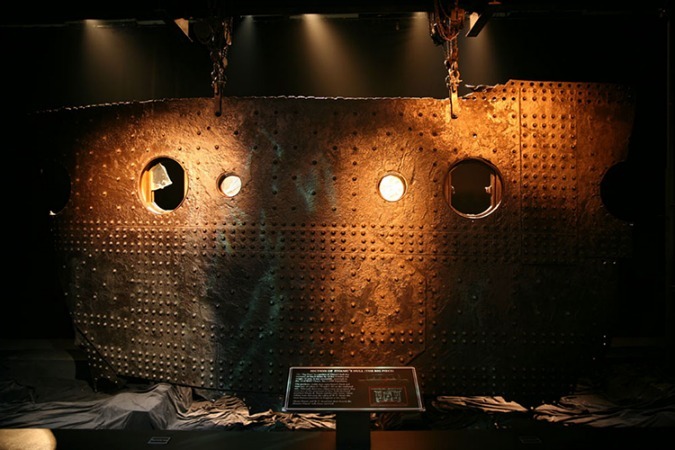 Recreations of the boiler room and decks, and both upper- and lower-class cabins offer an immersive experience for the Titanic obsessed; also on display is a 4-meter piece of ice that ticket holders are allowed to touch. According to organizers the items have been painstakingly transported during their new voyage around the world and must remain in temperature-controlled rooms with minimal light exposure for preservation purposes. Another unique aspect of the exhibit is that each ticket is issued as a boarding pass bearing the name of an actual passenger on the Titanic. Visitors will discover at the end of the exhibit if they survived! Photos courtesy of RMS Titanic.